With the New Year just around the corner, it’s likely time to renew your music licensing agreements. But this industry is under some major changes that could impact all businesses. Music licensing is a dense topic. Some businesses attempt to avoid paying license fees. But the threat of expensive fines is all too real. New technology is helping businesses negotiate fairer fees and more songwriters get paid. It’s time to take a second look at this industry. Before we jump into proposed changes, it’s important to know what you are already paying for. PROs collect money from music users so they can broadcast music and host performers. Real-world businesses, from concert venues to retail shops, are a part of the “general licensing” category. General licenses are “blanket licenses” which allow real-world music users to play any music within a PRO’s catalog (20 million+ songs). These licenses are determined based on capacity and how the music is being consumed (background music, interactive – band/DJ). Each PRO licenses different songs (although there is some overlap). Each PRO also has a different size catalog. The one thing license fees do not take into account is how much music your business plays from each catalog. 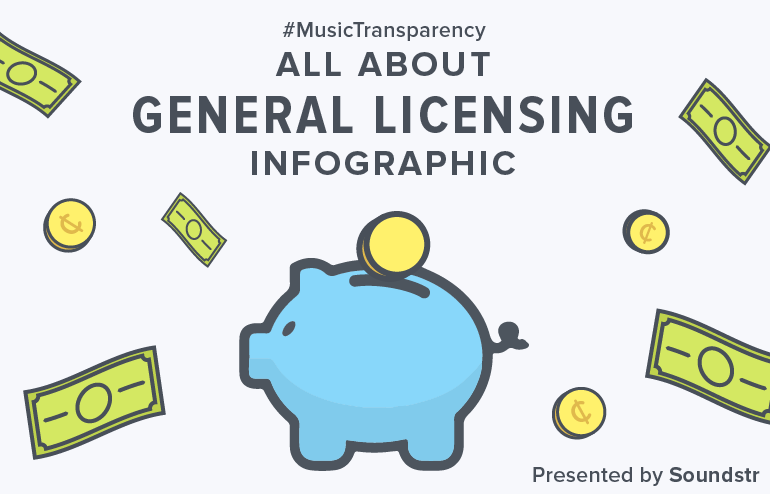 It doesn’t make much sense to pay the same amount of money for each license when your business may not use as much music from one or more PRO. With music tracking technology, a real-world business can now obtain transparency on their music use and negotiate fees based on actual music usage in their business. This is similar to how many households are cutting the cord with cable companies and only paying for the services and movies they want to watch. These blanket licenses are outdated and inefficient. What’s even worse about blanket licenses is who collects royalties from your fees. In the absence of data from real-world music use, the PROs use radio as the main proxy to distribute royalties. This means that if a songwriter performs or is broadcast in your business and is not on the radio, they likely do not earn money. Even worse, your fees are likely going to the big names on commercial radio. 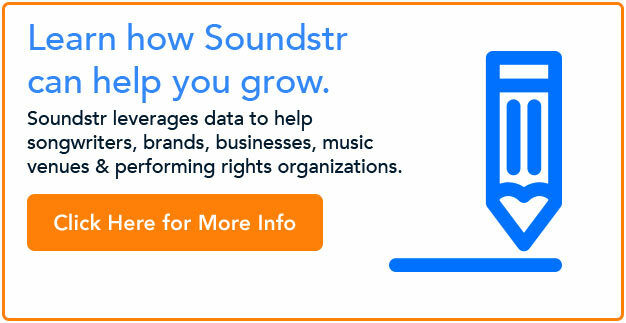 We at Soundstr did a case study to challenge this proxy. We sampled 3,000 songs in 12 businesses over 2 weeks. The result was that only 19% of songs played in businesses were also on commercial radio. That means roughly 81% of songwriters would not receive royalties from the use of their music. This is not fair. So now that you have some back story, let’s move onto changes. 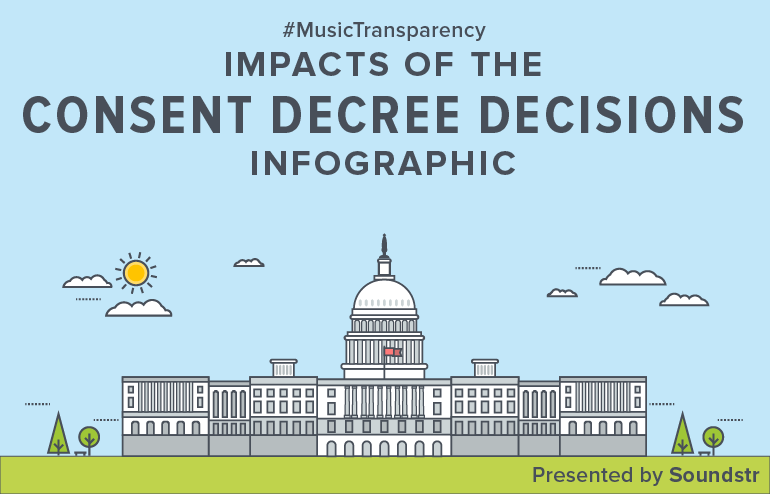 The biggest proposed change (actually interpretation of the Consent Decree) is the topic of “No Partial Withdraw.” Currently, music publishers use the PROs to issue public performance rights on behalf of their songwriters to all licensing categories (Radio, TV, Digital & General Licensing). Late last year, all three major publishers (Universal Music Group, Sony/ATV and Warner/Chappell), as well as some independent publishers, signed direct public performance licensing deals with Spotify, Pandora and other digital services. By cutting out the middlemen (PROs), these publishers make more money for their songwriters off direct deals. But, the Department of Justice is pushing to prevent cherry picking these direct deals. “No Partial Withdraw” means that the publishers either have to use the PROs for all four categories or none at all. If the publishers decide to go the “All-in” route, you will still only pay the four PROs (ASCAP, BMI, SESAC and GMR). If they choose the “All-out” option, your music licensing fees will change drastically. If one of the major publishers withdraw from the PROs, you will have another music license to obtain (ASCAP, BMI, SESAC and GMR + Sony, for example). If the tens of thousands of publishers withdraw, you will have many new licenses to pay (ASCAP, BMI, SESAC and GMR + Sony, Universal, Warner Chappell, Downtown, Kobalt, & thousands more). The new system could be complex and transparency around music usage would be essential. 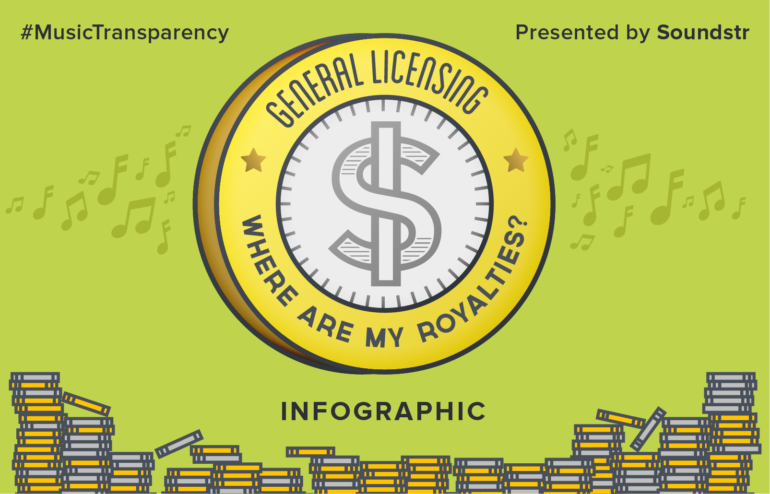 Licensing accounts for a large percentage of the entire annual music industry revenue. In fact, in 2014 the performing rights sector was ~31.5% of the size of the entire recorded music industry. (Note: performing rights are not calculated as a part of the recorded music industry.) 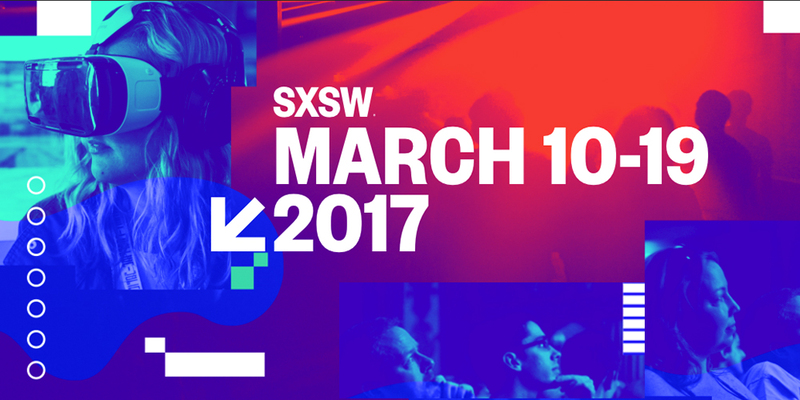 Technology is looking to disrupt this sector, offering solutions for both businesses and songwriters. We at Soundstr also have some unique solutions rolling out this year. Using our services, businesses can now identify both recorded and live music usage. Having this data would allow a business to negotiate fairer license fees based on pro-rated music usage within their establishment. Either would eliminate overpaying for music or paying for music that was not used. 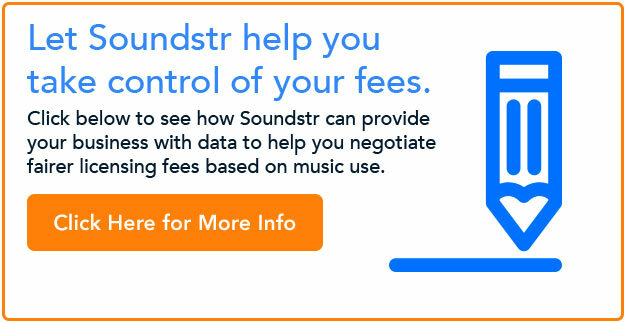 Our mission at Soundstr is to help songwriters earn royalties they deserve for commercial use of their music. By identifying the music used in a business, the PROs can ditch the radio proxy altogether. The 81% of songwriters who were not played on commercial radio would receive compensation for their work. Fairer fees and more royalties sounds like a win-win! The basis of the performing rights industry is simple: when you do a job, you should receive compensation. This is the reason the performing rights industry exists in the first place. In 1847, French composer Ernest Bourget heard one of his works performed in a Parisian cafe, but was not compensated for his work. The lawsuit that followed led to the formation of SACEM, the world’s first PRO. The current system, unfortunately, is not that simple. But the future offers a bright outlook. With transparency around music usage data, new industry standards can be set. Any songwriter can receive compensation for commercial use of their music. Businesses will pay transparent fees based on their actual music use. Currently unlicensed businesses will now be able to afford licenses, pumping more money into the system. The current PRO model will need to be flexible, but the outcome will be a much more sustainable industry. 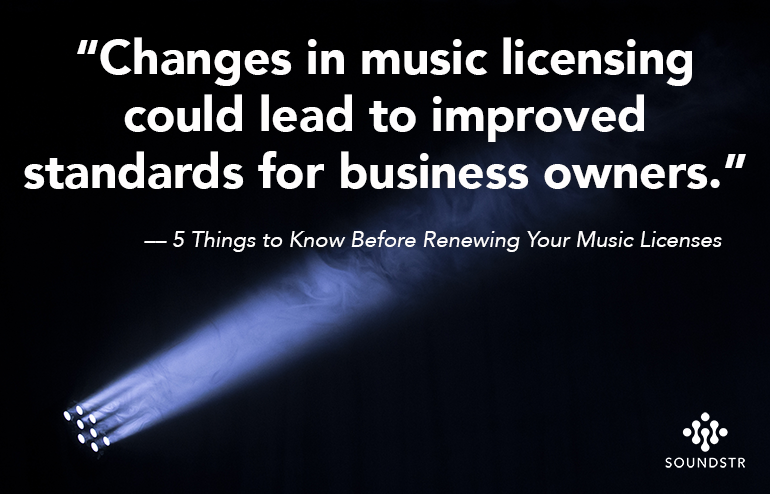 There are a lot of things business owners need to know when it comes to music licensing. This industry is in the midst of some big changes. Staying informed and knowing your options can make a big difference in your fee structure. Why pay for music you aren’t using? And don’t you want to know that your fees are making their way back to the correct songwriters? It’s easy to see the value that music provides to your business. But what about the value that business owners like you provide to the music industry? Technology may finally level the playing field. What is the Consent Decree, and why are people talking (and so upset!) about it? While the music industry can seem glamorous, it does have its “unsexy” parts just like any other business sector. For songwriters, one of the least discussed (yet most important topics) is music licensing. But major changes to the consent decree – the federal agreement that governs how ASCAP and BMI operate – is bringing this topic to the surface. The truth is, these changes could be the biggest in the music industry in 75 years and greatly impact your career. So while this might seem like a complex topic now, we’re here to break it down for you. First off, if you are not familiar with Performing Rights Organizations (ASCAP, BMI, SESAC and GMR, “PROs”), read this now. If you are familiar with the PROs and what they do, keep reading. 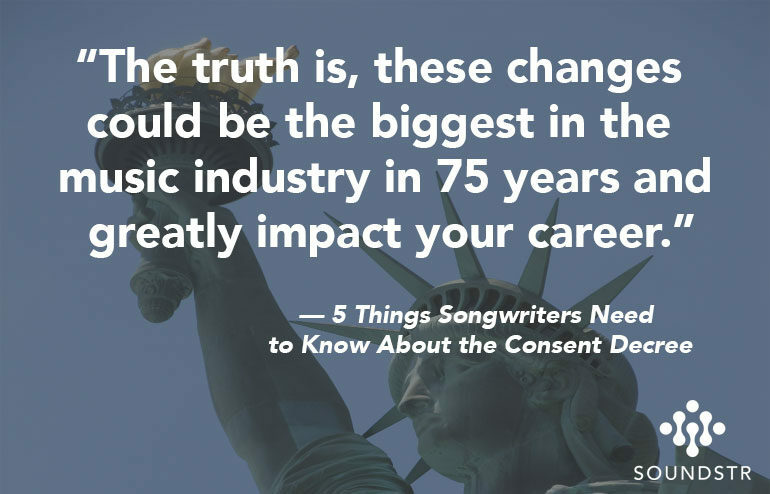 The Consent Decree decisions will impact songwriters, licensors and more. Pretty much everyone in our industry, to a certain degree. There are two major decisions proposed by the Department of Justice for the Consent Decree. The first is no partial withdraw. This means that publishers either have to be “all-in” or “all-out” with PROs. Music publishers, with the assistance of the PROs have been asking the DOJ to update the Consent Decrees to allow for partial withdraw. Publishers want the ability to do direct license deals with music licensors for performing rights. In this case, they want to do direct license deals with Digital Services Providers (DSPs) such as Spotify, Pandora, etc. On December 18, 2013, a federal judge ruled that this was not allowed in a case with Pandora and BMI. (A different judge had a similar ruling with Pandora and ASCAP on September 17, 2013.) Yet, shortly thereafter, the publishers went direct to the (digital) source to negotiate better rates, cutting out the PROs as the middleman. This left the PROs to collect on behalf of radio, TV and broadcast/live performances – not digital. The DOJ chose not to update the Consent Decrees to allow for partial withdraw. This means publishers either have to use the PROs to collect on behalf of all mediums, including digital or none at all. If publishers want better rates with Spotify and Pandora, they will also need direct deals in all other mediums. This includes every radio station, TV network, retail store, and live music venue. Publishers would have more work on the admin/collection side, but it might lead to a higher payout for them and their associated songwriters. The second major decision is called, “100% licensing.” This gives a songwriter with any ownership on a song, even as little as 1%, the right to license the entire song on behalf of all other songwriters. Further, that same song can only be licensed once to a given music licensor. Anyone from the lead songwriter down to the producer that gets a few songwriting credits could license the song. Considering that many co-writers do not share the same PRO, this could lead to several messy scenarios. This is a stark departure from the “fractional” licensing model that the industry currently uses. Fractional licensing means PROs only license their share of a song. In a fractional licensing world, the songwriter (or PRO) with 1% ownership is only able to license their portion. In a 100% Licensing world, when ASCAP licenses a music venue, but only controls 1% of a song, that venue no longer needs to also obtain a license from BMI for that same song. ASCAP must license the full 100% of the song and account back to BMI. The immediate responses to these proposed changes have not been positive. The CEOs of both ASCAP and BMI have responded, stating their “disappointment” in the DoJ. Other music industry execs have shared this sentiment. The consensus around the short-term impact focuses on the negativity of these rulings. With rate shopping, 100% licensing could devalue the price of music. Licensors will likely be on the hunt for the lowest rate, which could drive down revenues. No partial withdrawal could lead to publishers opting out of the PRO system. Instead of a business needing four PRO licenses, they may now need those four, plus licenses from each of the many publishers. There are a few implications to consider from these major changes. For better or worse, 100% licensing could lead to a “fixed rate” for music within our industry. This is a long shot, but a fixed rate could help build value (or further devalue) the price of music depending on your perspective. 100% licensing could also place heavy restrictions on the co-writing market. Songwriters may only be able to work with co-writers within their PRO or publisher’s roster. This could lead to a lack of hit songs or more diversity, depending on where you (subjectively) stand. 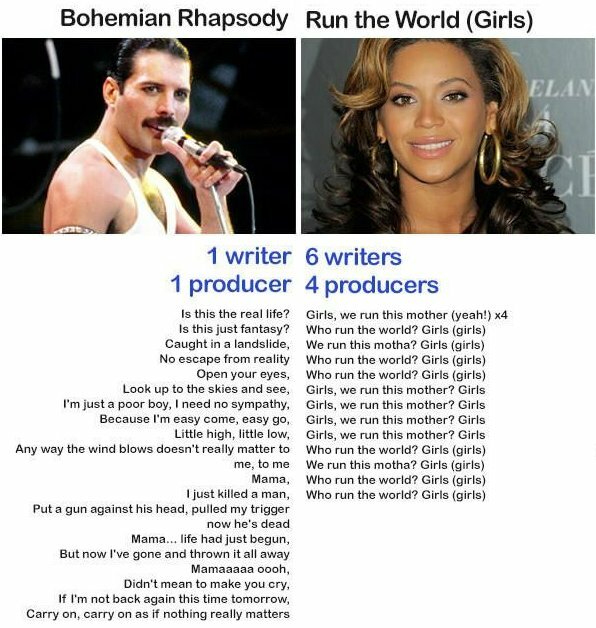 If you’re not already aware, most pop songs have several co-writers, as showcased by popular memes. It might sound like a stretch, and again it’s all speculation for now. So much more is likely to happen in the coming months. The PROs and Publishers must respond to the DOJ by the end of July. Lawsuits will likely ensue. Decisions will be delayed as everyone lawyers up and weighs their options. Extremes like ASCAP and BMI merging may actually be considered, despite antitrust lawsuits. The Consent Decrees may even be done away with. Publishers may withdraw from PROs. No one ultimately knows. Regardless of the final ruling on the Consent Decree, we now live in a world where music data is essential. Data impacts everything from songwriting/publishing splits to PRO registration and real world music usage. More overall transparency will be necessary to follow the dollar and understand the true value of music. Songwriters need to pay close attention to this case, as the outcome could have a great affect on their career. 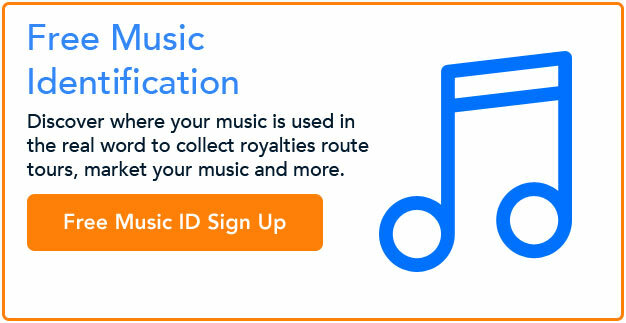 Songwriters – click below to sign up for FREE music recognition services.